The hot tub was taken from Kate's back garden. A 24-YEAR-OLD woman with fibromyalgia says she is "unable to leave the house" after thieves stole a hot tub used to ease her pain. Kate Wellens from Grange Park was diagnosed with the condition aged 17, which causes pain all over the body as well as increased sensitivity, fatigue and muscle stiffness. After saving for several months, Kate finally bought a hot tub for her home meaning she could relax her muscles and not have to attend expensive hydrotherapy. However, less than six weeks after buying the tub, she was "devastated" to find thieves made off with it in the middle of the night on Sunday, August 5. She is hoping the thieves, who she believes must know the area well, will return the tub once they know that it "is a medical treatment not a luxury." 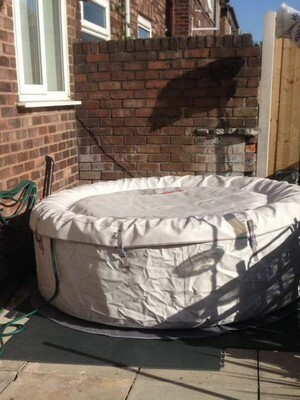 Kate said: "I use the hot tub daily to help with my fibromyalgia pain as this is the only way I can function."